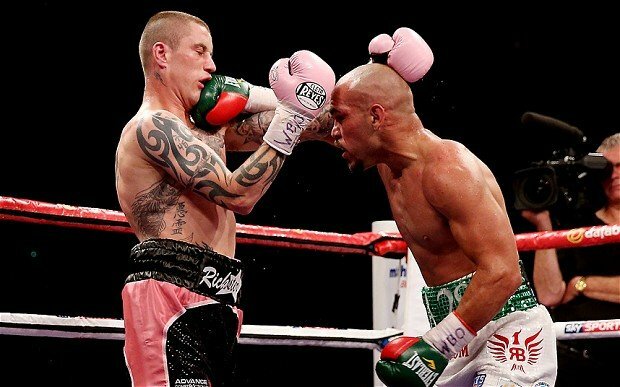 Raymundo Beltran has hit back at WBO champion Ricky Burns after the Scotsman’s claimed that he was gutted at not being given the chance of a re-match against the Mexican and Beltran says that Burns is lying to public. Beltran feels he was cheated out of a victory last time these two met, the Mexican had Burns on the canvas and also broke the Scotsman jaw in the title fight that went to a controversial decision on points in favour of Burns. Ricky Burns has since returned to training after recovering from surgery to his broken jaw and is will now defend his title against mandatory challenger Terence Crawford in Glasgow on March 1. Burns told Sky Sports News that he has “unfinished business” with Beltran, who has responded by telling his rival to stop lying. “Burns is just making excuses to look good to his fans and prove that he is a brave guy, which I agree he is brave, but stop lying and keep it real,” Beltran told the World Boxing News website. “The fact is that at the end of the day I whooped him. I broke his jaw, I sent him to the canvas and I beat him clear. “He just had the advantage because I wasn’t just fighting him; I was fighting the referee and the judges. If we fight in a neutral place he knows what’s going to happen.